I'm back with another wallpaper! Hehe! 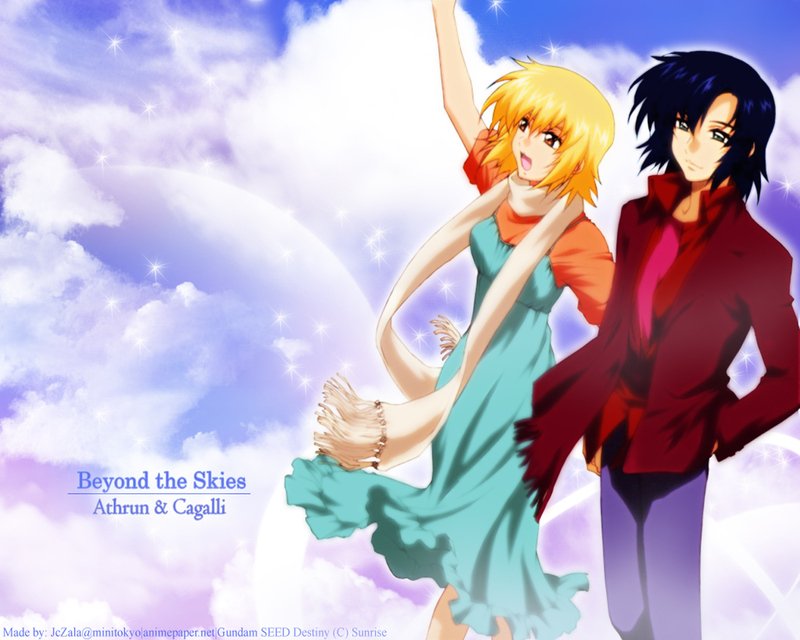 This is an Athrun and Cagalli one! Aren't they just cute together here? I picked this scan for this wallie because their expressions and poses are just perfect for the whole scenery. I mixed and blended the colors till I got it right. The cloud background is quite easy to use once you have the right brushes. I just added some glitters for the final touches and some effects. Cool, I see you like this couple.. Thwe walli is fine. keep goin! Very cute! The background also fits very well. Oh my gosh! This so nice! You're so good >.< I really envy your talents. ASUCAGA forver! Would these two people be finally bound together? I am interested.